We work diligently to bring quality material to our readers and provide credit and/or links to sources. As much of our website is made of guest-authored content, we can’t always verify uniqueness. 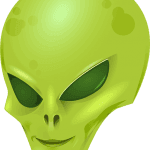 If you believe we have used your copyrighted content without permission, send us an email at admin@alienufoblog.com and we will remove it or provide proper attribution to the material based on your preference. All articles on alienufoblog.com are original unless otherwise noted. You may not repost articles from this site without first acquiring permission. Snippets and quotations from the site are permitted as long as they’re accompanied by the appropriate credit and linked back to the source. The information on this site is for entertainment and general information purposes only. The authors and owners of alienufoblog.com make no representations or warranties of any kind, express or implied, about the completeness, accuracy, reliability, suitability or availability with respect to the blog or the information, products, services, or related graphics contained on the blog for any purpose. Any reliance you place on such information is therefore strictly at your own risk. In no event are the authors or owners liable for any loss or damage including and without limitation, indirect or consequential loss or damage, or any loss or damage whatsoever arising from loss of data or profits arising out of, or in connection with, the use of this blog. This blog links to other websites/blogs which are not under the control of alienufoblog.com. We have no control over the nature, content and availability of those sites. The inclusion of any links does not necessarily imply a recommendation or endorse the views expressed within them. The alienufoblog.com blog is an active affiliate marketer for external products and services. These products and services may include affiliate links. Affiliate links are absolutely cost-free to you. If you click through an affiliate link and make a purchase, we may earn a commission on the purchase you make. As an affiliate marketer, the alienufoblog.com blog makes provider recommendations for products and service with no guarantee of any kind. Experience with individual products and services will vary. Your business agreements with the vendors recommended is strictly between you and those vendors. The authors and owners of this blog are not responsible for any damages, of any kind, you or your company may suffer due to your business arrangements with the vendors and products we recommend. We are a participant in the InMotion Hosting referral program. This program provides us with free hosting credits when someone signs up for a hosting plan at our recommendation. This site uses advertisements provided by the Google Adsense program. This program provides an opportunity for us to earn income by serving ads on the website. This site also uses advertisement ads provided by the Amazon Services LLC Associates program. This site may accept sponsored posts. Sponsored posts are those which we have been paid to publish on behalf of another company, product, or service. Sponsored posts are assigned to a “Sponsored Posts” category and marked as per FTC requirements. These posts may not necessarily reflect the views of our authors or owners. This site may accept payment for the inclusion of links to other sites within our existing articles.